Bellinger is not on the disabled list (yet?) which is good news, considering how bad that play looked at the time. Justin Turner isn’t in the lineup either. Turner was seen wincing and limping slightly in last night’s game. 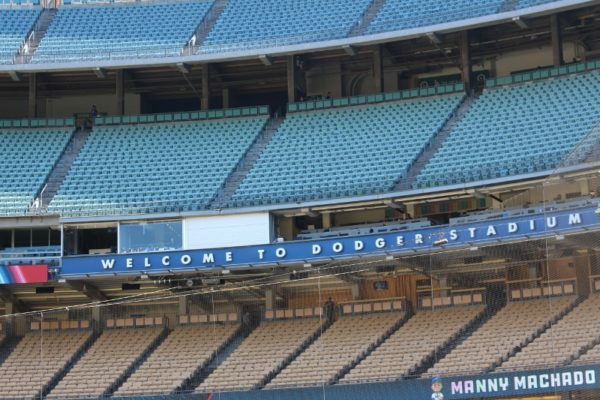 In today’s pre-game news conference, the Dodgers revealed that it was due to a foul ball during batting practice, of all things. Thankfully, both injuries seem relatively minor, with Dave Roberts going as far to say that both players should start tomorrow. The slumping A.J. Pollock will get the start off, with the corresponding move being to addDavid Freese to the lineup at first base. Chris Taylor starts in center. Austin Barnes will also get the day off, his first in about a week. Tonight’s short-handed lineup will face Tyler Mahle, who has somehow been one of the best pitchers in baseball so far. Mahle has allowed just one earned run across his first two starts (11 innings), while striking out 12 and walking 4. Mahle has thrown his fastball and curve about 90% of the time so far this year. The slurvy curve is new, having replaced a now-shelved slider. He mixes in a change for the remainder of his pitches. Kenta Maeda will go for the Dodgers, looking to rebound from what has been a rough beginning of the season. Maeda has posted an ERA near 5 and a FIP near 6 so far, with a worryingly low rate of strikeouts. So far it has seemed like he has only had command of one pitch at a time in any given start. With the numerous injuries in the rotation he’s been given more cushion than usual to figure things out, and it seems this will continue with Ross Stripling and Julio Urias ticketed for the bullpen once Rich Hill and Hyun-Jin Ryu come back. Hyun-Jin Ryu threw a 40-pitch bullpen yesterday and will join the Dodgers’ rotation during their upcoming road trip. Good chance he pitches in Milwaukee. Julio Urias will make his start Thursday then move to the bullpen. Ryu’s injury looked like it could have been a repeat of the one that cost him most of last year, but thankfully that is not the case. For once, the Dodgers seem to have escaped the worst-case scenario on a pitching injury.